BlackBerry launched the Priv smartphone and very soon it created a buzz because it was the first Android handset by BlackBerry. The big news right at the moment is that the Priv smartphone will get the Android 6.0 Marshmallow update in the next year. 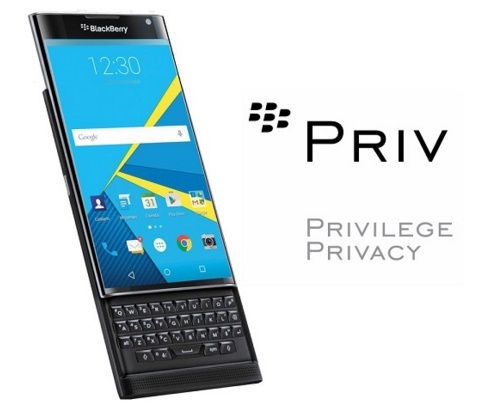 This is really a big news because the Priv smartphone has been launched by BlackBerry which itself has its own BlackBerry OS. So there was always a question whether this Android smartphone will be provided with the latest Android updates. Even though the exact time of the update could not be fetched, but this much has been confirmed by BlackBerry’s President of Devices, Ron Louks and Gareth Hurn, Global Director of Device Portfolio Planning that BlackBerry Priv Android smartphone will get the latest Android 6.0 Marshmallow in the coming year. Priv will have a 5.40-inch display, 1.44GHz processor, resolution of 1440×2560 pixels, 3GB RAM with 32 GB on-board storage, 2-megapixel front facing camera, 18 MP Primary camera and 3410mAh battery. The device runs Android 5.1.1.